There will also be commemorative merchandise, a series of games honoring various players and coaches and even an exclusive wine. 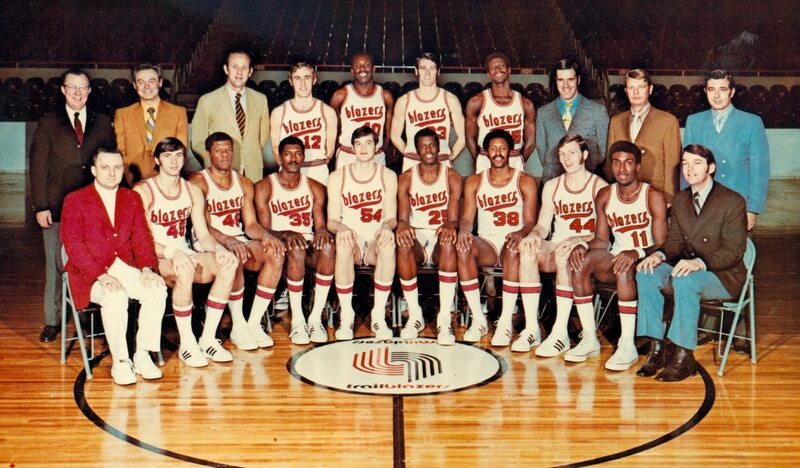 The 1970-71 Portland Trail Blazers. Next season will mark the 50th anniversary of the Trail Blazers franchise. And to celebrate, the team is going back to where it all started, at least for one night. Today—which happens to be the organization's real birthday, as it was on this date in 1970 that the NBA Board of Governors officially bestowed a team upon the city—the Blazers announced the first wave of plans for the team's golden anniversary season. There will be commemorative merchandise. There will be a series of games honoring various players and coaches from throughout Blazers' history. There will even be an exclusive wine made in collaboration with Newberg's Adelsheim Vineyard. But the most notable event so far is that, on Oct. 7, the Blazers will play the Denver Nuggets at Veterans Memorial Coliseum, which served at the team's home base for 25 years. That's a preseason game, but still. The Blazers played home games at the Coliseum beginning in 1970, then moved basically across the street into the newly constructed Rose Garden in 1995. (It's called something different now.) They last played in the building in 2009, to kick off their 40th anniversary season. That was also a pre-season game. Related: Determining the future mojo of the Moda Center. And who knows? Maybe they'll make it really special and fire Neil Olshey mid-court. Let's just hope they're not the Oregon Trail Blazers by then.